The Samsung BD-E6100 3D Blu-ray player is very affordable, but is it false economy? The alluringly-priced Samsung BD-E6100 3D Blu-ray player has plenty of features like DLNA and Smart Hub, but is that enough to justify your cash? 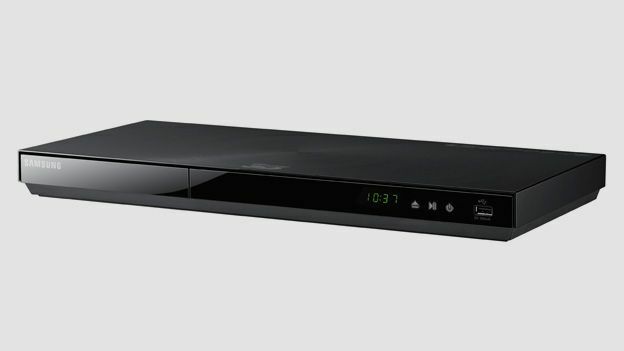 The Korean tech giant has a knack for making Blu-ray players that offer shedloads of features but don't cost the earth, and the Samsung BD-E6100 is a prime example. For just over £100 you get a player with built-in Wi-Fi, DLNA and Smart Hub (Samsung's superb internet portal) which already looks like great value considering rival entry-level decks like the Panasonic DMP-BDT120 make you fork out for a LAN dongle at that price. It might not have the feature list of the pricey Denon DBP-2012UD or the PVR capabilities of the Panasonic DMR-PWT500, but can it make it into our list of the best Blu-ray players around? Smart Hub is one of the best-looking internet portals around, although Sony's players trump it on content. It's been augmented this year with new zones for fitness and kids' content, plus Family Story, a photo sharing app that's like a mini Facebook. Apps wise, you get BBC iPlayer, YouTube, Netflix and lots more, alongside less compelling games and puzzles. Elsewhere you get a USB for media playback with extensive format support, a sluggish web browser and 3D Blu-ray playback. The BD-E6100 reeks of cost-cutting, from the plasticky build to the sparse rear connectivity. There's an HDMI v1.4 output for feeding images to a TV, coaxial digital audio output and an Ethernet port but that's it. Java-heavy discs take 40 seconds to load, although most discs are typically quicker. We can't fault its picture quality, making 2D Blu-ray discs look sumptuously sharp and vivid. It also dazzles with 3D discs, producing those deep, absorbing images that justify your investment in the technology. It also has no trouble streaming MKV, MP3, FLAC and other formats over a network, plus web videos from apps like Netflix and iPlayer stream smoothly, with surprisingly crisp picture quality. The BD-E6100 is a budget Blu-ray player with a decidedly non-budget feature list. Getting built-in Wi-Fi, the superb Smart Hub, DLNA streaming, 3D support and extensive format support via USB is phenomenally good value at just over £100, even though you have to make sacrifices in terms of design and build quality. The casing is a little lightweight and connections are sparse, which doesn't make this a player that serious cinephiles should consider, but given the savings they bring, budget buyers won't worry too much about that. The BD-E6100 is also easy to use thanks to the gorgeous onscreen graphics, but more importantly it produces solid Blu-ray pictures with 2D and 3D discs, making this a terrific choice if funds are tight.